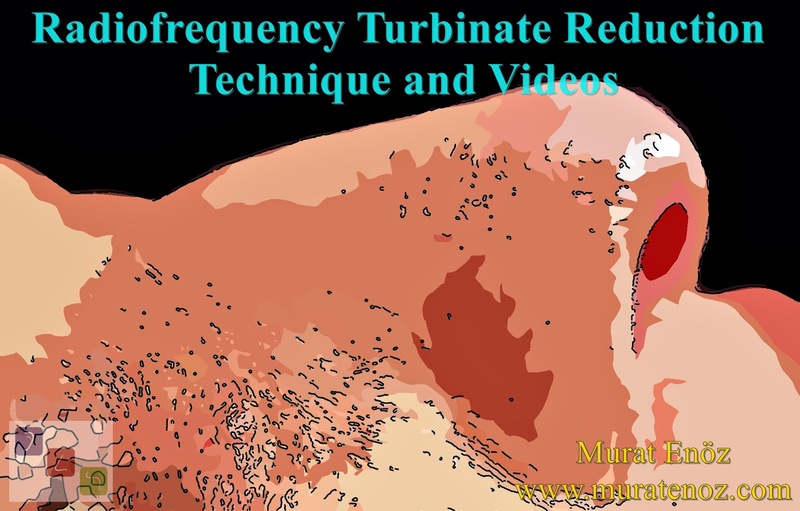 There are different devices are produced and different methods are defined for turbinate reducing (ultrasound turbinate reduction or coblation turbinate reduction, radiofrequency turbinate reduction, electrocautery reduction, ...etc). However optimal surgical procedure which used for treatment of turbinate hypertrophy is still controversial. Radiofrequency (RF) technology is used in medicine for treatment of many health condition. Radiofrequency devices are classified according to on the number of electrodes used as unipolar devices, bipolar devices, or multipolar devices. Radiofrequency energy induces ion agitation within the tissue, which increases the local temperature and causes a thermal damage in the deep tissue without damaging the surface mucosa. The healing process secondarily cause to fibrosis, wound contraction and resulted with tissue volume reduction of turbinates. This procedure can be performed in an outpatient setting under local anesthesia or it can be performed with other nasal surgeries such as septoplasty, polypectomy, rhinopasty as under general anesthesia. Local anesthetics are injected into the turbinate after lidocaine spray application (use of local anesthetic without adrenaline is important for understanding the areas with the highest growth). Submucosal areas of the nasal meats are then reduced in volume with a radiofrequency device. Generally during the process, the shrinkage of the turbinate dimensions can be seen. After the process, shrinkage usually lasts up to 1 year. The total procedure time is about a few minutes under local anesthesia. Bleeding may occur in the first few days after the procedure, and turbinates may swell over the first few days, causing nasal congestion.